Witnesses told police an East Troy man now charged with fourth-offense intoxicated driving drove through a yard and almost struck a tree, according to a criminal complaint filed in Walworth County Court. Village of East Troy police said Gregory M. Knox, 41, of 1859 Thomas Drive drove while intoxicated at about 8:45 p.m. Oct. 18 at Thomas Drive and North Street, according to the complaint, which was filed Oct. 19. Empty beer cans were found in the car that witnesses told police Knox was driving, the complaint states. Results from a blood test are pending. Knox has previous OWI convictions in 1998, 2003 and 2005. 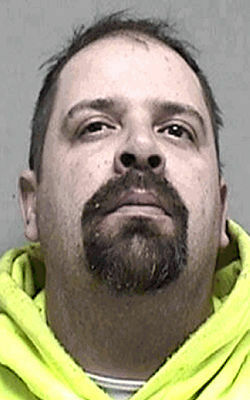 An East Troy man is accused of intoxicated driving after being released on bond in a different OWI case, according to a criminal complaint filed in Walworth County Court.